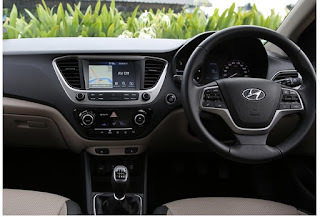 Home Hyundai Technology Hyundai Verna price: Is it worth as per the specs and features? Hyundai Verna price: Is it worth as per the specs and features? The previous generation Verna was the best-selling sedan from the Hyundai’s portfolio in India, but it has been struggling for a while now due to its ageing style and lack of modern features compared to the segment toppers - Maruti Ciaz and Honda City. The manufacturer realised the urgency of a change in order to sustain their position and came up with the upgraded version called the 2017 Hyundai Verna. The new Verna brings a series of improvements on every front and as usual the company has adopted its strategy of coming up with many first-in-segment features. In addition, the new Hyundai Verna price is quite comparative for the features it offers in the different variants, which was obvious considering the throat-cutting competition of the segment. The car has been getting immense appreciation and looks to be an absolute heartthrob. On paper, it seems to be a potential car with a lot to offer. It will be interesting to see how it performs in terms of sales. In case you are eyeing the new Verna and looking buy it as your next set of wheels, but not sure whether it’s worthy of the price tag or not, we have got you covered. 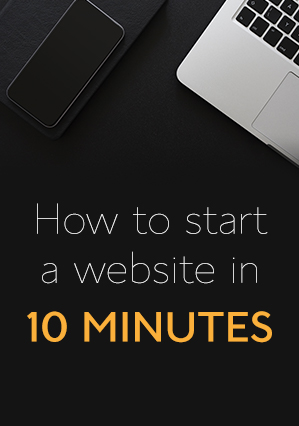 Let’s check out how much you get for what you pay. The next-gen Verna borrows some of its styling features from the Elantra and is built on the all new K2 platform. As usual, it gets the Fluidic body design and looks aggressive at the front-end featuring a Cascade grille with chrome border and projector headlamps with daytime running LED lights. The side profile makes the car a real eye-catcher with perfectly placed creases. The roof slopes down to the shoulder line and looks coup-ish for low air-resistance. The rear-end compliments well to the dynamic appearance of the car with LED tail lamps and dual tone bumper. The car will be offered in different color shades including the new ones like Flame Orange, Fiery Red, Polar White and Sienna Brown in addition to the usual ones - Stardust, Phantom Black and Sleek Silver. It also offer options of 16-inch diamond-cut alloy wheels for the top-end trims and 15-inch silver wheels for the base models. The cabin of the new Hyundai Verna offers premium look along with some newly introduced features. The interior is highly finished with quality material in dual-tone black and beige colour theme. The standout feature of the car includes ventilated front seats and electric sunroof. The base variants offer fine fabric seats, while the top-end models feature leather upholstery to provide a comfortable long journey. The boot space has also been increased from the previous model to carry more luggage while travelling. The newly designed dashboard is installed with a 7.0-inch touchscreen infotainment system in the top of the line variants, which supports Apple CarPlay and Android Auto, while the low-end models receive a 5.0-inch touchscreen audio system. The infotainment system offers advanced Audio-Video Navigation (AVN) system with reverse parking camera. The 3-spoke steering is wrapped in leather and supports Bluetooth for audio commands. The facelifted Verna is offered in four different variants - E, EX, SX, SX (O). The base variant is E and comes with limited safety options, while SX (O) will be the top-end variant with most of the safety features. The E variant features ABS with EBD, dual airbags, central locking, clutch lock, rear view mirror, immobilizer and ISOFIX child seat anchors. The next level variant, EX offers reverse parking camera, automatic headlamps, USB charger and a 5.0-inch touchscreen audio system in addition. The next level trim, SX features a 7.0-inch infotainment system compatible to Android Auto and Apple CarPlay, leather wrapped steering wheel and electric sunroof in addition. The top-end variant SX(O) offers all the key features with some additional safety elements including six airbags and smart key. The Indian-spec new Verna offers the same engine mechanism with improved power and torque parameters. It sports both engine versions - petrol and diesel. 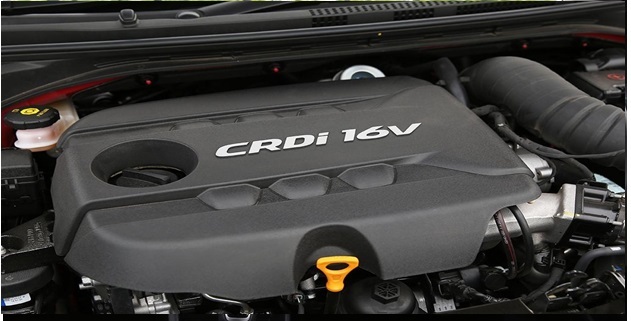 The petrol variant offers a 1.6-litre Dual VTVT engine, which produces a maximum power output of 121 bhp at 6,400 revolutions per minute against a peak torque of 151 Nm at 4,850 revolutions per minute. While, the diesel unit comes with a 1.6-litre U2 CRDi engine which develops a maximum power of 126 bhp at 4,000 revolution per minute and a peak torque of 260 Nm at 3,000 revolutions per minute. For transmission, both the engines are mated to either a 6-speed automatic or a 6-speed manual gearbox. The facelifted Verna offers slightly better fuel efficiency than the previous version. The petrol variant returns a mileage ranging between 15.92 kmpl and 17.07 kmpl for the automatic and manual units respectively. While, the diesel version delivers a fuel efficiency of 21.02 kmpl and 24.75 kmpl for the automatic and manual units respectively. The 2017 Hyundai Verna is priced starting from Rs. 7.9 lakh (ex-showroom, Delhi) for the base trims and goes up to Rs. 12.61 lakh (ex-showroom, Delhi) for the top-end variants. Considering the features it offers, the price seems to be pretty competitive and car looks a great deal overall. In the mid-size Sedan segment, it will give a strong competition to the likes of Maruti Ciaz, Honda City, VW Vento and Skoda Rapid in the Indian market. 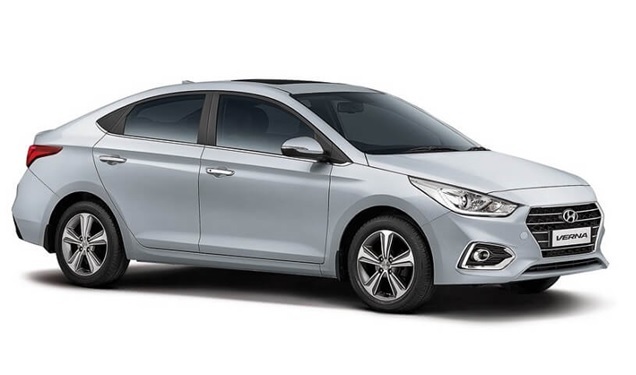 The new Verna will prove to be a valuable launch from the Hyundai, as it is expected to be well received by the buyers. The pre-bookings for the car has already crossed a staggering mark of 7,000 in India just within a month of its announcement. The new version of the car is a pure example of styling excellence with great features on offer. It is here to stay and will be a threat to the rivals in the coming years. Overall, it is a great option if you are looking for a feature-packed Sedan at an affordable price range.